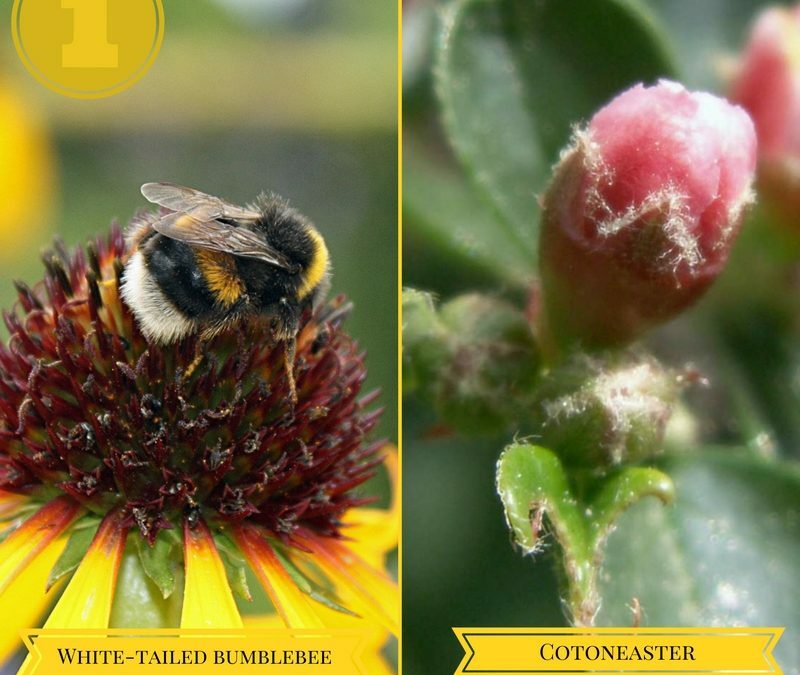 As part of our #happyBEEweek (28 Nov – 4 Dec) celebrations we counted down the 5 most spotted bees and the 5 most popular plants which were recorded during the Great British Bee Count. THE MOST SPOTTED BEE was the White-tailed Bumble Bee which is widespread and a common species throughout Europe. It emerges early in the spring and can be seen feeding on flowers right through to the autumn. Queens are the first ones to be seen in spring, males do not usually emerge until about August. The species is short tongued and has black and lemon-yellow bands and a white tail that may have a pinkish flush. Their short tongues enable them to make a hole through the flower and so to reach the nectar without entering the flower. The workers are similar in appearance to the queens but smaller. Whereas the queen is about 19 to 22 mm long the workers are about 12 to 18 mm long and the males are about 16 to 18mm long. The white tailed bumblebee behaves in a similar way to the Honey Bee. These bees have the social grouping of workers, drones and queen. However the white-tailed bees have much smaller colonies – 150 instead of 50 thousand bees to a colony and they don’t make enough honey to survive the winter period. As soon as the queen comes out of hibernation it starts the colony by laying a few eggs that hatch as workers. These workers tend to the young and nest. Males emerge later and mate with new females who are prospective queens. The males, workers and old queens die in the autumn, but the new queens hibernate. The White-tailed Bumblebee can be found in gardens, farmland, woodland edges, hedgerows and heath land, anywhere there are flowers to feed on. THE MOST POPULAR FLOWER was cotoneaster.